Around a year ago, Louie and I was able to grab ourselves cheap tickets to Davao. 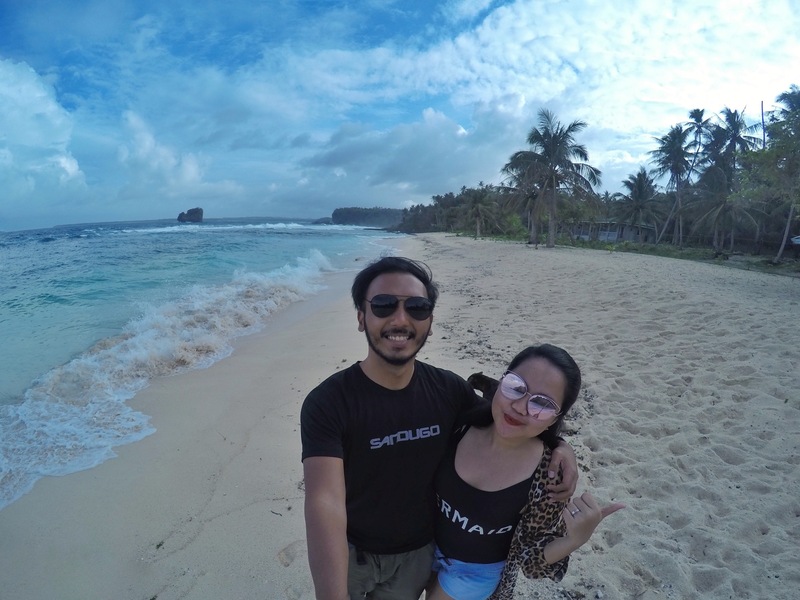 This was our second time to visit Davao (check out our first trip here) so we decided to include Siargao in our itinerary. 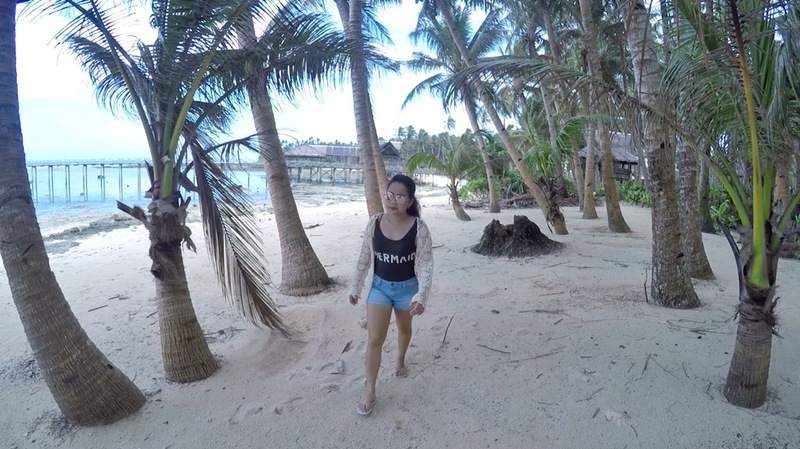 Siargao is quite far from Davao however upon seeing the place and meeting the locals, I can truly say that this is a place worth including in your bucket list. 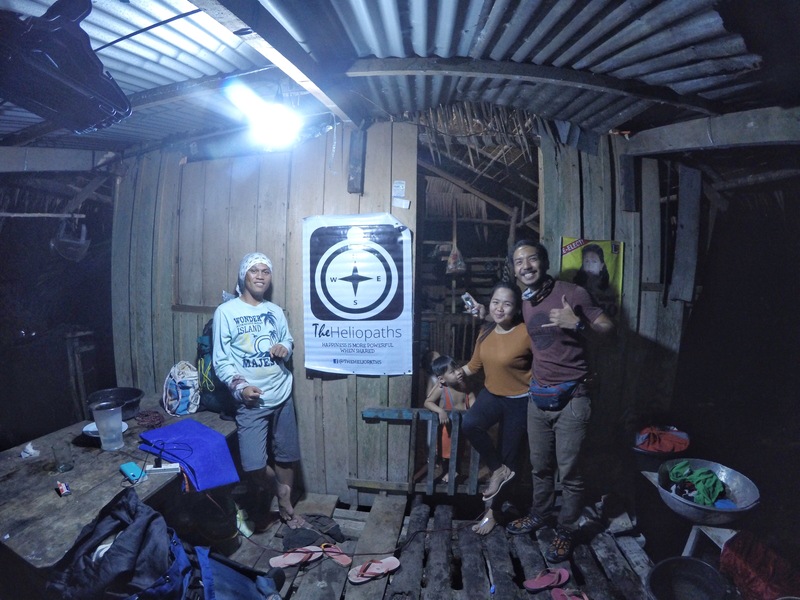 Before going to Siargao we decided to visit our old friend Romnick who lives in San Agustin, Surigao del Sur where the Britania Group of Islands is located. 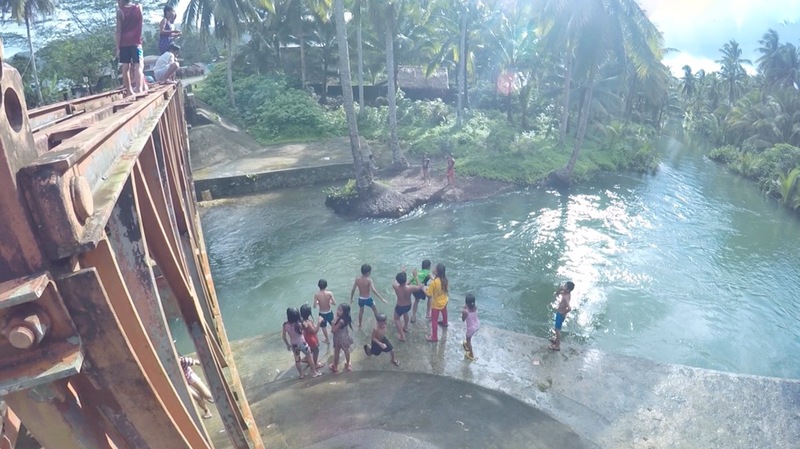 At the the same time we revisited the enchanting Hinatuan River as well to check if things have changed. We were surprised to find out that tourist are no longer allowed to swim in the blue lagoon. 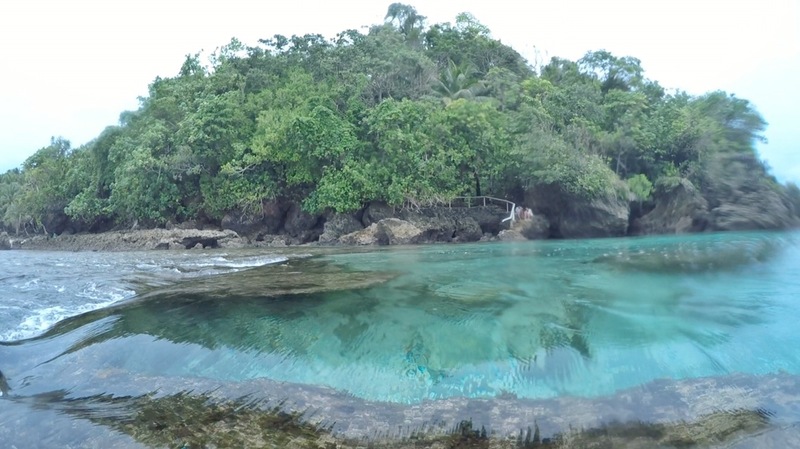 Tourist are now only allowed to swim in designated areas several meters away from the actual cave/lagoon and wearing of life vest is mandatory – good swimmer or not. 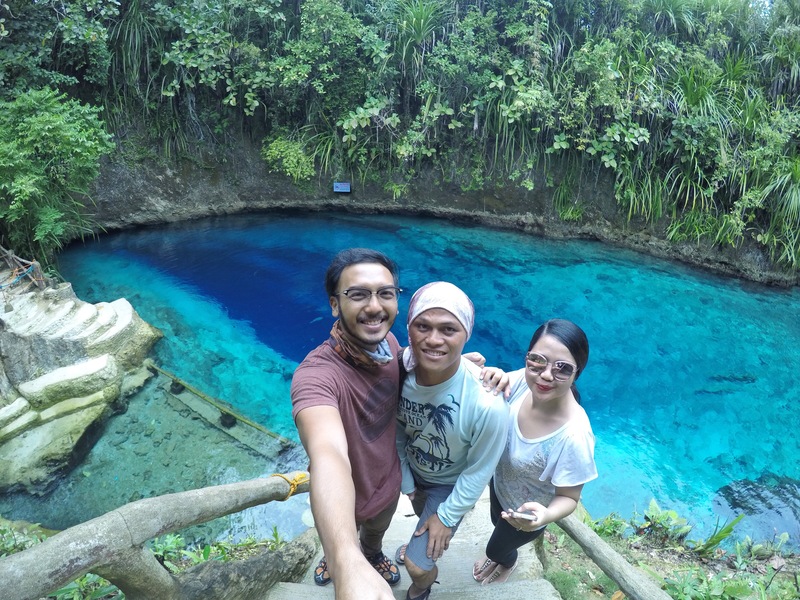 This is to keep the natural beauty of the enchanted river. As sad as this may be, I believe this is for the good of the place. I’m very thankful to have been able to swim in this beautiful river 2 years ago! Visiting Romnick and his family really brought back good memories. Romnick was our habal-habal driver, boatman and tour guide when we visited Surigao for the first time. To save us some money, he gladly offered some space in his house where we stayed for the night. Sharing drinks and stories with this man was truly one of the experience that made our trip memorable. After saying our goodbyes to Romnick, we rode a bus headed to San Francisco which is roughly an hour or so away. 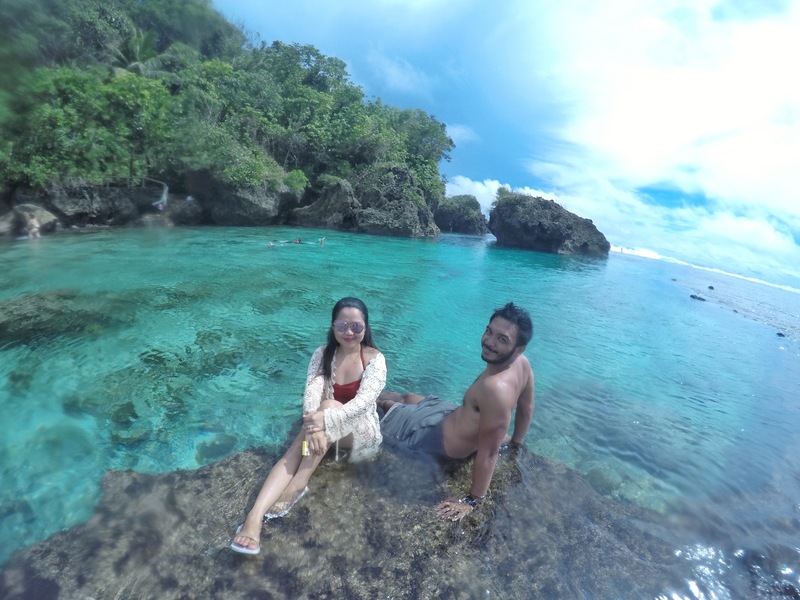 Upon arriving in San Francisco, we road a van bound to Butuan (1oo php) and then another van (110 php) going to Surigao Port where the passenger boat (250 php) (last trip 5AM) to Siargao is located. 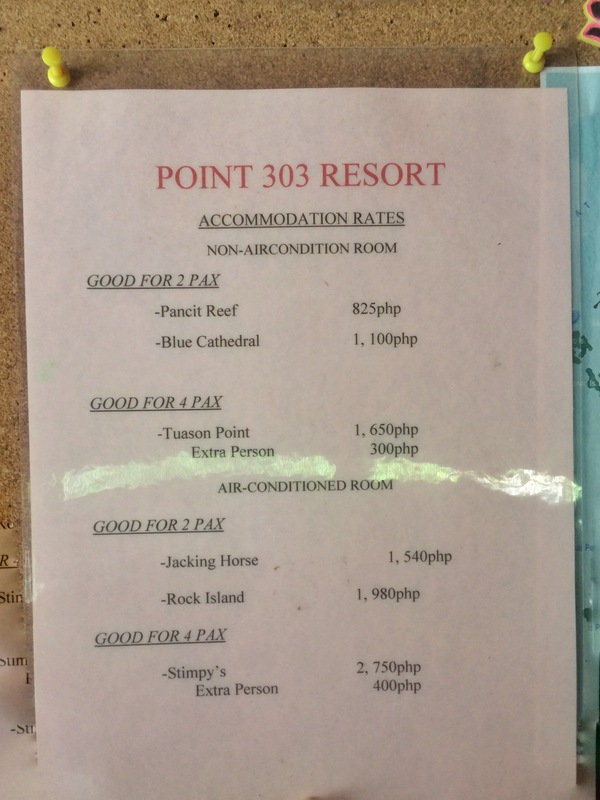 We decided to stay in Point 303 resort located in Gen. Luna. 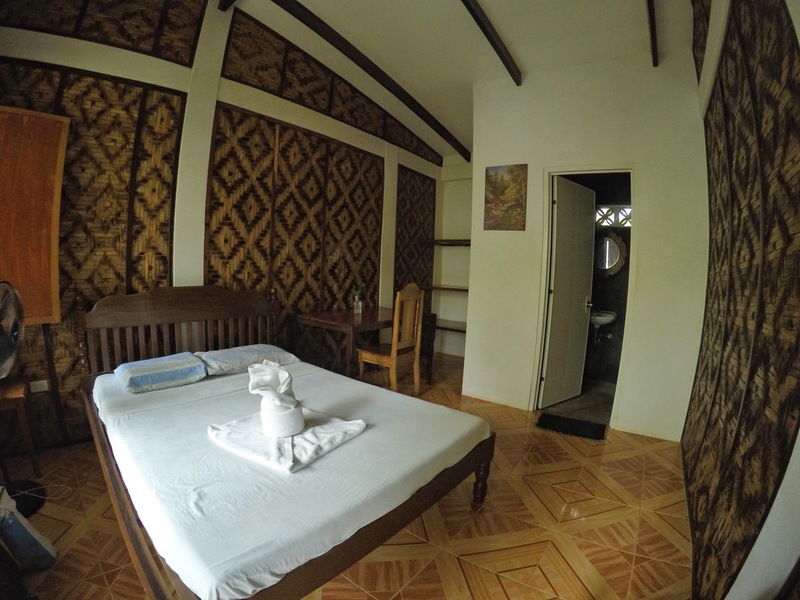 The resort was very near Cloud 9 beach, the famous surfing spot of Siragao island. 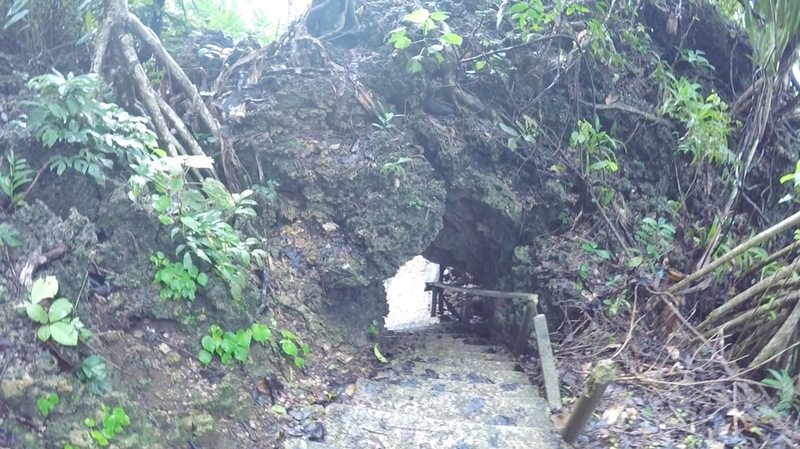 To get there, you can grab a tricycle or habal habal. The resort was quite alright and cheaper compared to the beach front resorts. Point 303 was just a 5 minute walk from Cloud 9 beach. As you all know, surfing is what Siargao is famous for so we decided to try the sport. There were many friendly instructors there and the surfing lesson is 500 php per hour. If you already know how to surf, you can just rent a surf board for 2oo php per hour. I actually crashed on first try but soon I was able to ride the waves. The feeling of being on top of a wave riding it as if it was carrying you was like a drug. Very addictive. 1 hour was not enough. It was very exhilarating at the same time very tiring hence we decided to go back to our room, shower and take a small break. 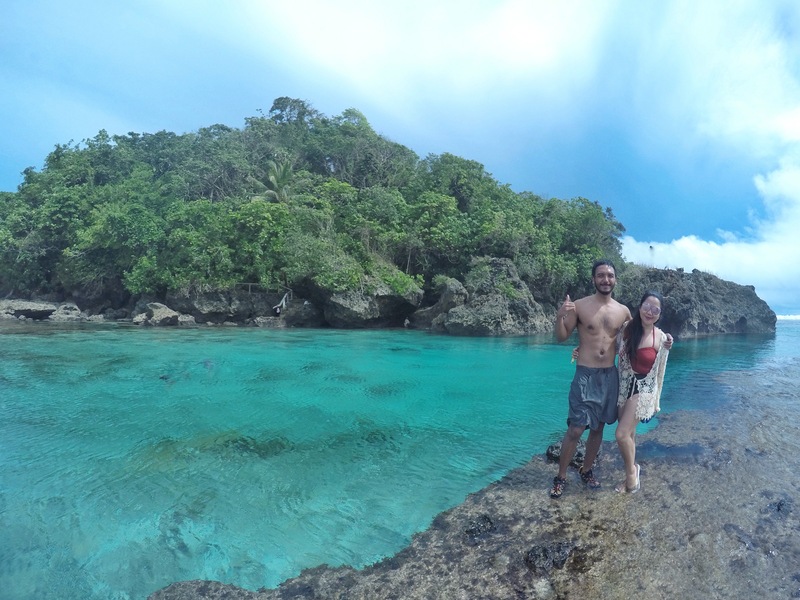 Afterwards, Louie and I decided to check out Magpopongko beach where the tidal pools are located as we wanted to see how far it was from the resort. We rented a habal-habal for 500 pesos for 24 hours. 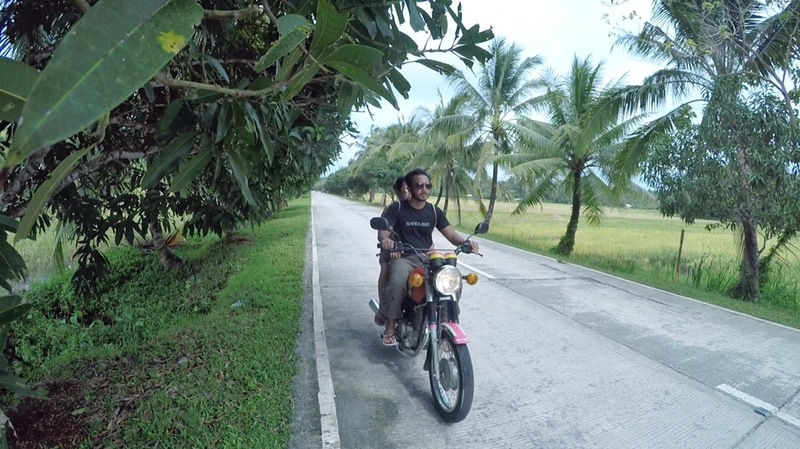 I believe this is the cheapest way to explore the island provided that you know how to ride a motorbike. Scooters are also available for those who are not accustomed to manual motorcycles. It was already high tide when we got to the beach hence the tidal pools were not visible. Still, the beach was amazing. It was the perfect opportunity for us to take photos as there were no tourists in the vicinity. We grabbed some dinner in a carenderia on the way back to the resort. 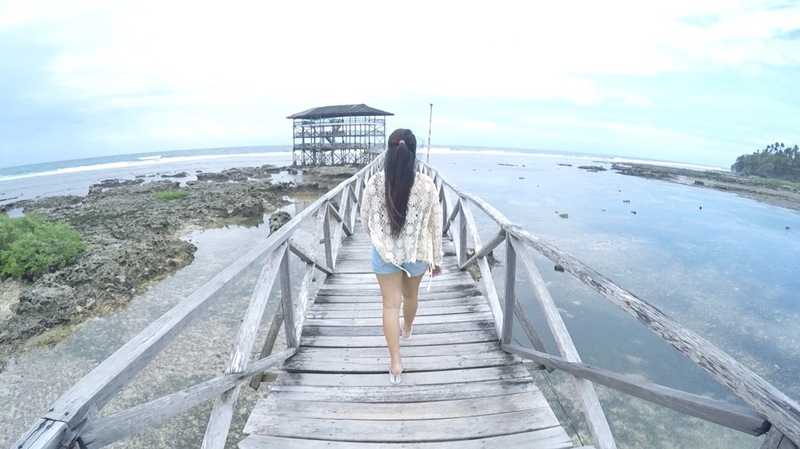 It was actually quite hard to find a cheap place to dine in Siargao. Good thing we rented a habal-habal which allowed us to search for cheap eateries/ go to the public market. The following day, we packed all our belongings and brought it with us to Magpopongko beach since we did not want to was time time going back to the resort. 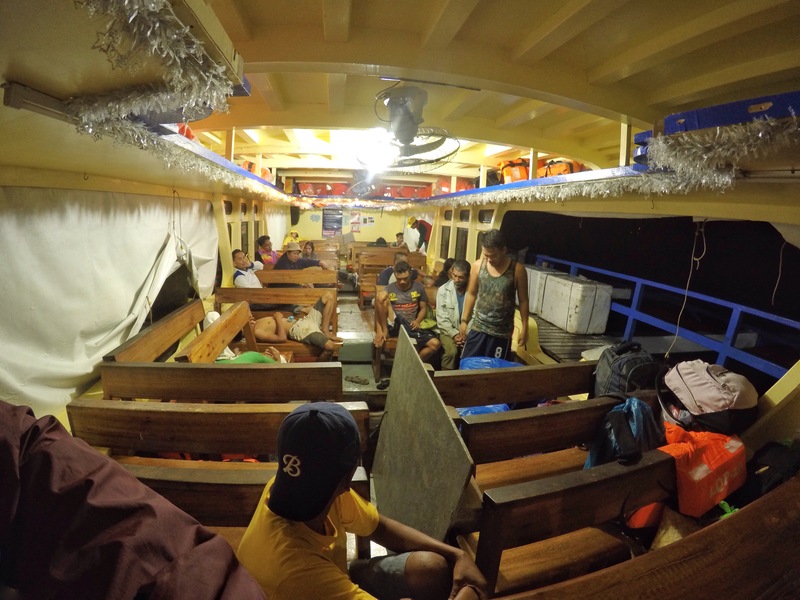 At the same time, the last trip back to Surigao port was 12 noon. 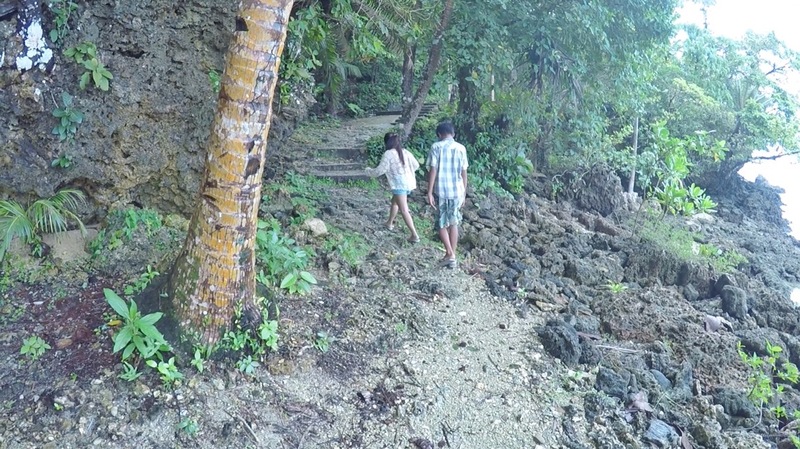 We left the resort at around 6 a.m. and arrived at Magpopongko beach (located in Pilar) after about 45 minutes. The motorcycle we rented ( Yamaha STX 125) was long enough to accommodate both Louie and I and our big backpacks. 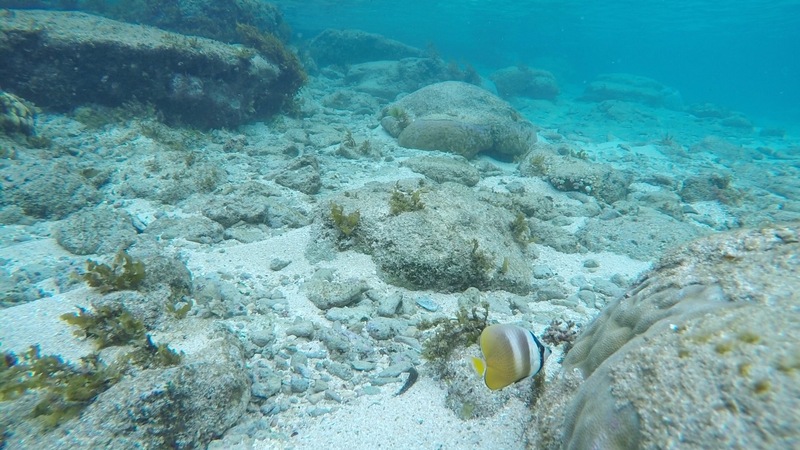 Since we arrived early, we were able to enjoy the tidal pools without other tourists. 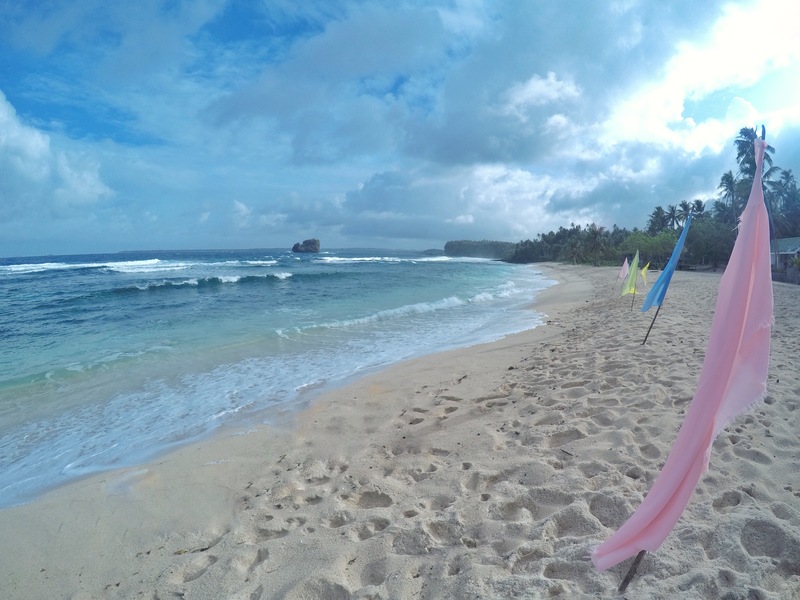 Our time at Magpopongko beach was my favorite part of our Siargao trip. The tidal pools were really one of a kind! You can do cliff diving, snorkeling and swimming in the pool. There were deep parts and shallow parts. Perfect for swimmers and non-swimmers alike. Around 10 a.m. we decided to leave and head back to Dapa port to catch our 12 noon boat ride. I was a bit sad to leave such a wonderful place behind. 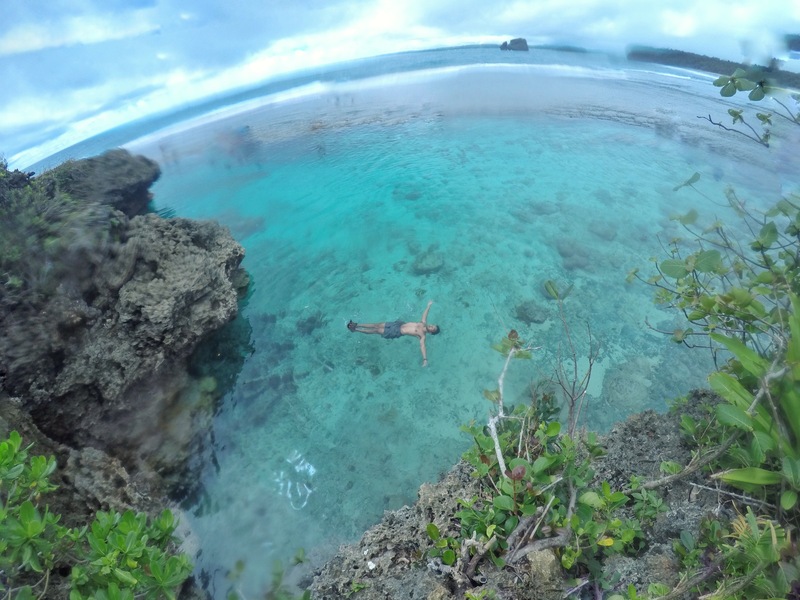 I hope one day we’ll be able to revisit Siargao!